Hello Haight-Ashbury! A striking Sixties inspired tie dye design brightens this fun extra wide scarf. 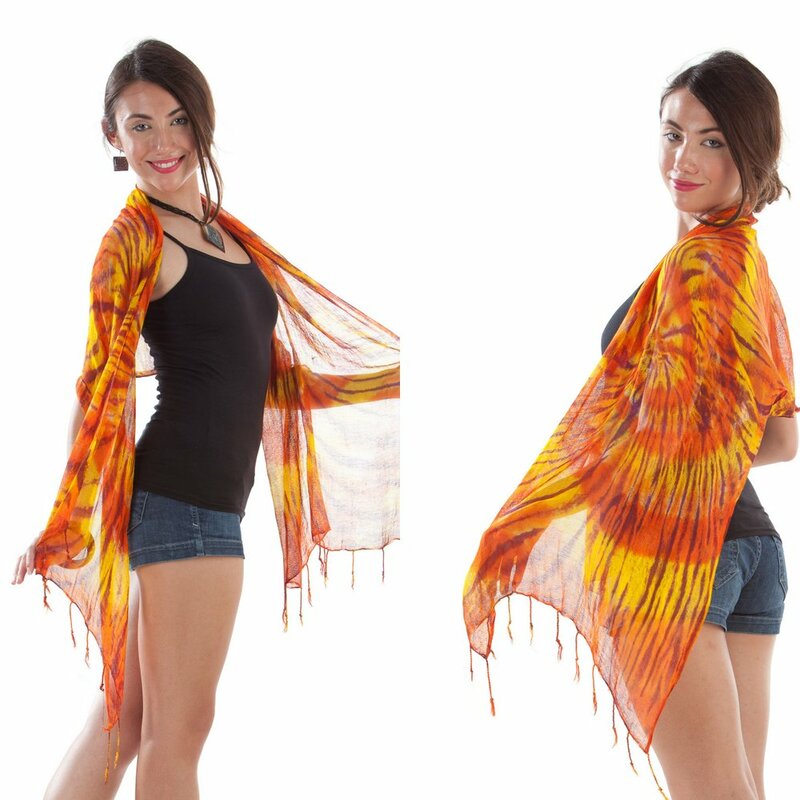 This beautiful tie dye scarf has some of the most vivid and stunning colors ever done with tie dyes. You will find this scarf lightweight and perfect for travel, easy to pack take on the go. The perfect gift and accessory for all occasions. Scarf measures 66 x 44 inches (168 cm x 112 cm) on fringed lightweight rayon. Please note that color may vary.